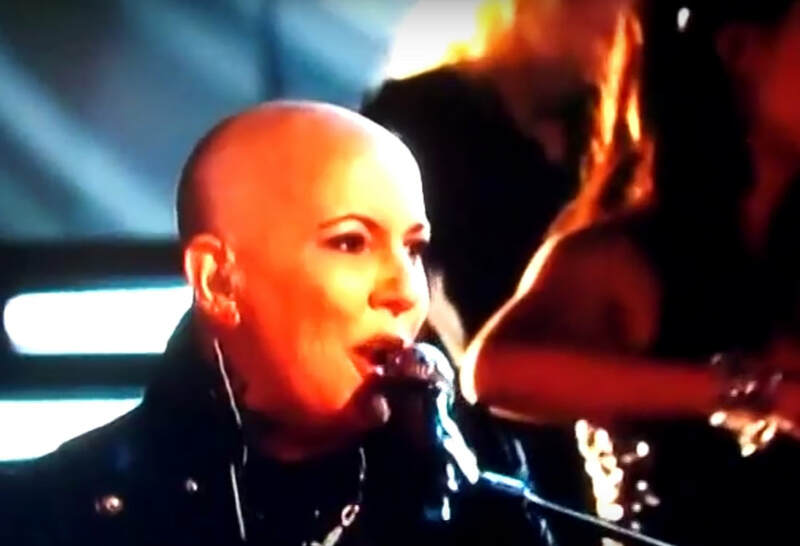 Acclaimed artist from season one of The Voice, Beverly McClellan has died from cancer. She was diagnosed on March 30, 2018. She passed with dear loved ones by her side on Oct 30, 2018. Beverly was always immediate to give to many charities and a champion for those in need. Through the years Beverly continuously donated her time and talents to local and national fundraising events. She would give her instruments away, she would give her food away. She simply was... a voice of hope... a spirit on earth filled with love... and as the world could see, an undeniably tremendous talent. In the crisis of her illness, many rose to assist her, lovingly, financially, spiritually... Thank you all ANGELS for your assistance, support and love in the process to try and help save Beverly's life. She is now in the arms of the angels in the heavens, singing with the spirits... she comes as a bird, appearing in rainbows, a deep voice in our hearts... she will always be beloved. Beverly McClellan on The Voice! - blind audition. 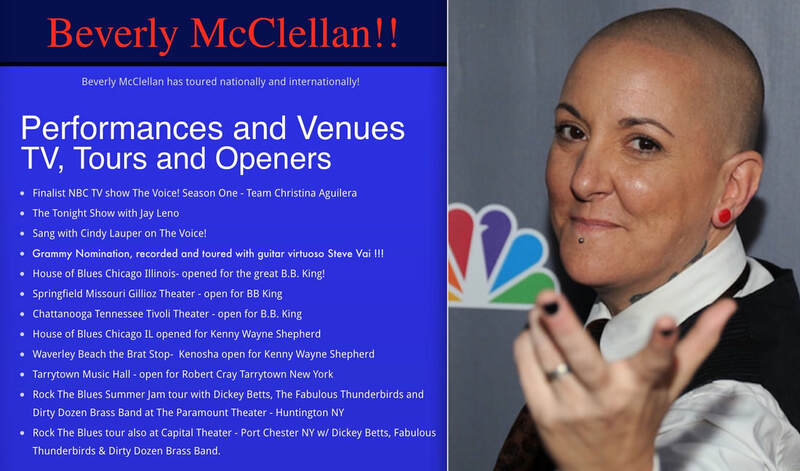 Beverly McClellan was an American singer and musician who rose to fame on the NBC TV smash hit The Voice! as a top semifinalist in season one! Beverly was a songwriter, singer, and multi-instrumentalist. She was one of the strongest voices to emerge on the American music scene since appearing on The Voice! Released multiple Cd's, available on iTunes and more! --2004 NY National Music Festival Winner "Best Overall Performer". -- 2011 - 3rd place finalist National TV show Season One - The Voice! Team Christina Aguilera first place choice. Recorded "Beautiful" with Christina Aguilera. Toured with The Voice season 1 finalists. -- 2012- Toured nationally and internationally and recorded with guitar virtuoso Steve Vai. GRAMMY Nomination for her work with Steve Vai!! -- Recorded and released CD - Fear Nothing with musicians from Etta James band, Co-wrote w/ Keb Mo! Artist Beverly McClellan toured nationally and internationally, sharing her vocal and musical skills worldwide. Beverly McClellan teamed up with musician Robyn Fear in Sept 2017. Their last show was March 24, 2018. Beverly's stellar, soulful, spot on powerful vocals were harmonized sweetly by Robyn. Both women being accomplished musicians, Beverly on piano and acoustic guitar, Robyn on electric and acoustic guitars! 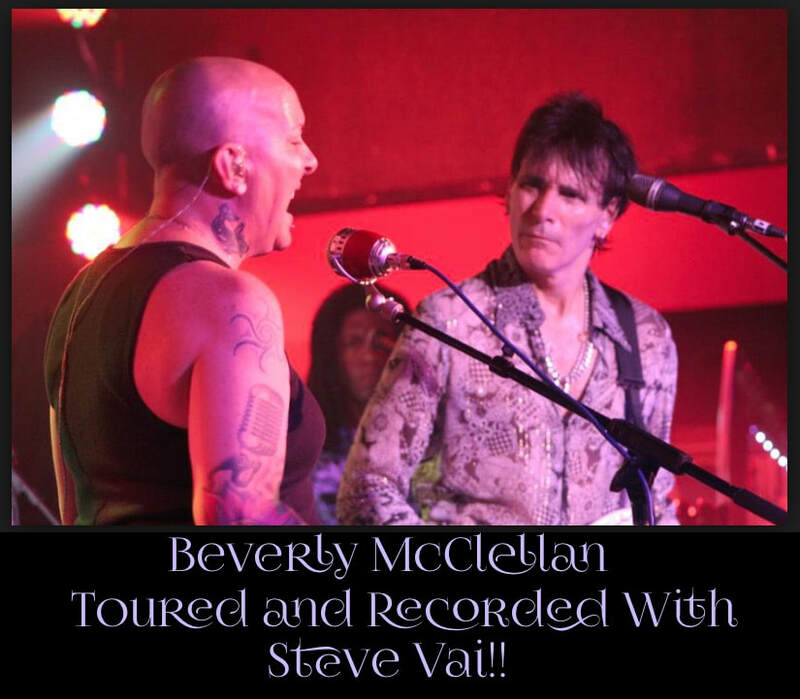 Beverly McClellan past live shows! Beverly McClellan Beautiful Day on Youtube with Robyn Fear. 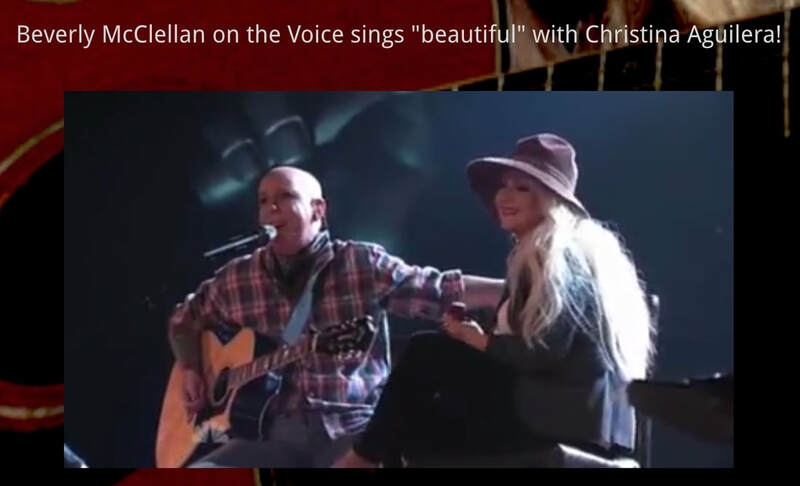 Beverly McClellan and Christina Aguilera sing duet of "Beautiful" on Season 1 of The Voice! Beautiful Christina Aguilera and Beverly McClellan.